He is a specialist in mobile technologies, ubiquitous solutions provision, and co-founder of AmbieSense Ltd. Apart from being the CTO of AmbieSense he also led the application development work of the 14 mill Euro webinos Integrated Project with 70+ people involved across 22 partners. He was also the Coordinator of the AmbieSense EU project, which was a 5.7 mill Euro international project with 50+ people involved throughout the project, with 8 project partners, and several sub-contractors. Its successful completion led to the establishment of AmbieSense, the company, offering software and hardware products, and services. He worked as Project Coordinator and research scientist for the applied research institute SINTEF ICT in Norway, prior to spinning out AmbieSense as a business. He has more than 18 years experience in international research & innovation creating a range of wireless and ubiquitous solutions and services based on wireless sensors, miniaturised devices, search, and the cloud, including more recently also a high-end software camera. As CTO he heads the research and development activities of AmbieSense Ltd across technologies such as software, hardware, and cloud. His thesis is on using adaptive systems and intelligent agents to provide relevant information and automatically adapt system based on user and system models, including environments. She is director and co-founder of AmbieSense Ltd. She has over 20 years' research and development experience in areas including context-learning algorithms, social media and multimedia, web user logs, personalisation and ubiquitous information systems. Her work involves a strong user-centred approach to algorithm and search- system design, development and evaluation. Goker has been involved in the webinos and the Social Sensor Integrated Projects. Social Sensor is enabling real-time multimedia indexing and search in the Social Web, with partners such as Yahoo, Alcatel-Lucent, Deutsche Welle, IBM, and ITI-Certh. She has been an entrepreneur and pioneer in context-aware information retrieval systems since the early 1990s. She holds a lifelong Enterprise Fellowship from the Royal Society of Edinburgh and Scottish Enterprise for her contributions to the AmbieSense EU project, which subsequently commercialised as AmbieSense Ltd. She is also Professor of Computational Systems, School of Computing, Robert Gordon University, chairing the Digital Technologies Theme at IDEAS research centre. He is a research scientist within the field of Multimedia Retrieval at AmbieSense. He researches and develops products and services involving image retrieval, mobile applications, and the cloud. His research interests include image processing and multimedia retrieval, high-end camera technologies, and advanced information fusion. 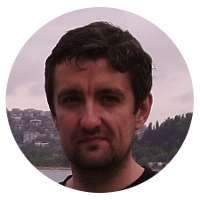 He is a member of ECIR, SIGIR, AIRS, ACM Transactions on Multimedia Computing, Communications and Applications, and ISIF - International Society for Information Fusion. He is leading the multimedia retrieval development for AmbieSense on several projects, and aspects of this work have been recently published in Journal of Advances in Information Fusion and International Conference on Information Fusion, among others. For instance, he worked on the OPENi EU project where he researched, developed, and optimised new and novel image search and information fusion technologies.